Track the metrics that matter to your hospitality and travel institution. Many airlines operate over 11 million flight departures per year. Because of the many departures, monitoring each airline's performance is necessary for an optimal customer experience. Getting on a cab or an Uber / Lyft is one way to get around in New York. An average of over a million trips are made every day in the city either with a medallion (“yellow”) cab, boro (“green”) cab, or a ride-hailing service car (“for-hire vehicle / FHV”), such as Uber and Lyft. 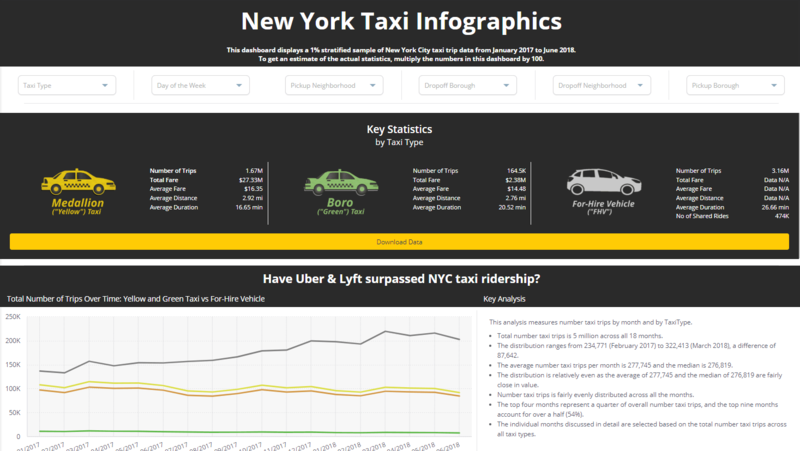 With such a large amount of data, there are countless kinds of analysis that can be performed to uncover meaningful, actionable insights about taxis and FHVs in New York. 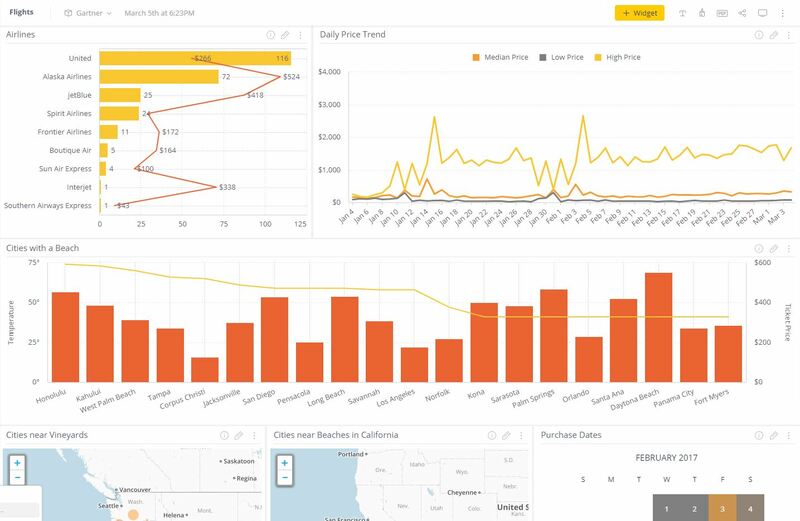 This dashboard is specifically designed to provide high level information, such as the number of trips made with Taxi vs Uber and Uber-like services, most popular pickup/dropoff neighborhood, the busiest hours and day of the week, and many more. 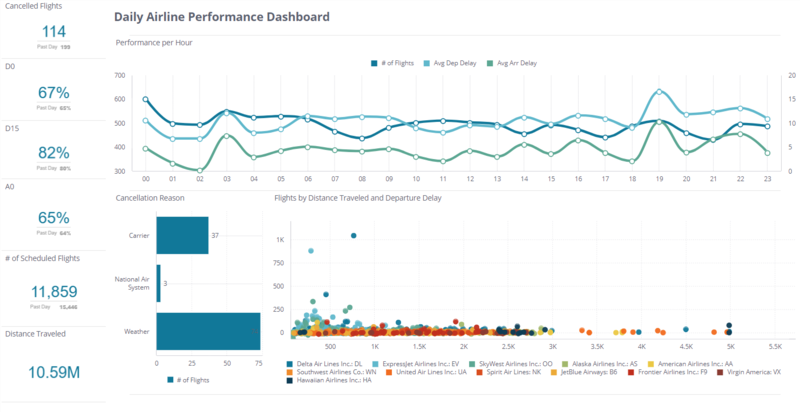 This dashboard example increases the visibility of real-time airline tickets prices. Your Travel & Hospitality Metrics?